The wife of President Muhammadu Buhari, Aisha, has followed the footsteps of her daughter, Zahra, by criticising the management of Aso Rock Clinic. 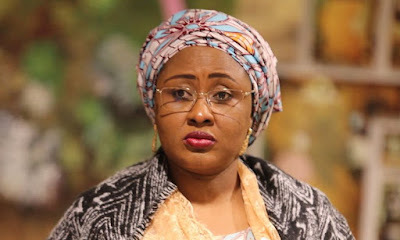 Zahra Buhari had last week taken to her Instagram page to criticise the Permanent Secretary of the State House, Jalal Arabi, for his inability to provide even Paracetamol tablets to the clinic despite a budget of N3 billion for the provision of drugs to the hospital. Speaking on Monday at a stakeholders meeting on Reproductive, Maternal, Nutrition, Child Advocacy and Health and Nutrition, RMNCAH+N, at the State House, Abuja, Mrs. Buhari said she recently fell ill and was advised to travel to London for treatment, but she refused. “You can imagine what happens across the states to governors' wives if this will happen to me in Abuja,” she said. The Aso Rock Clinic management said last week it was short of funds for major projects and purchases and would demand the commercialisation of the clinic’s operations for efficiency.